Everton completed the remainder of their transfer business in the dying hours of deadline day following the seemingly inevitable departure of Marouane Fellaini. The Belgian giant expressed his desire to join Manchester United on the last day of the window, and whilst his towering presence will certainly be missed in our midfield, Everton will feel they got the better end of the deal having secured £27.5m for the transfer. 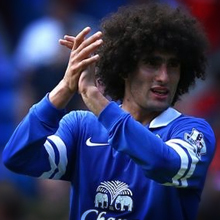 David Moyes was left with little option but to pay £4m more than Fellaini’s expired release clause after a number of his own transfer deals failed to materialise. By passing up the opportunity to buy the player for less in July, the former Everton manager has also cup tied him in the League Cup. Our second departure was that of Victor Anichebe to West Brom in a deal that could rise to £6m. The Nigerian enjoyed arguably one of his best spells in a blue shirt last season, but couldn’t quite find a way to maintain a first team place. We wish Victor all the best. Should he manage to stay injury free, as well as use his strength more to his advantage, then he could well soon realise his potential. Everton had been in talks with Dave Whelan throughout the day over the transfer of Republic of Ireland international James McCarthy. A number of bids were rejected outright by the Wigan chairman who made it clear that he would not accept a payment made over four years. The two clubs eventually reached an agreement to secure a £13m move for the 22 year old central midfielder. 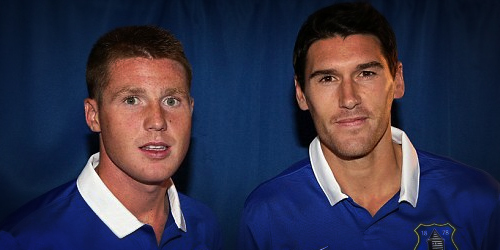 It was then with less than 30 minutes left of the transfer window that Gareth Barry arrived at Finch Farm to seal a season long loan deal. The player had been in talks with Everton for a number of weeks and we understand that the only formality was what percentage Man City were prepared to pay of his £100k a week wages. That remains unclear as yet, but reports suggest that Everton are paying around 70%. Arguably the most exciting and surprising signing for the fans came as another loan deal. The Blues were working hard behind the scenes to bring Chelsea striker Romelu Lukaku to Everton, facing competition from his former club West Brom as well as Malaga. Following talks with Roberto Martínez, José Mourinho and even Kevin Mirallas, the Belgian tank decided that Everton would be the next challenge in his career. 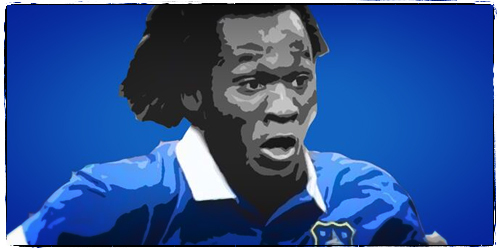 … Lukaku’s ability is obvious, and he is more than capable of providing the short term solution to the Toffees’ goalscoring woes. 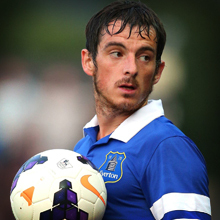 Undoubtedly, the best part of the transfer window was keeping Leighton Baines. The naughtiest left back around town stayed true to his word and did not push for a move despite intense speculation that he would follow Fellaini to United. Last season he created more goalscoring opportunities than any other player in Europe’s top 5 leagues. He is instrumental to the way Everton play and we would now expect the club to reward him with a new contract for the commitment he has shown. Sources close to Baines have remained of the opinion that he is happy to stay at Everton, and would have only considered a move should our board accept a realistic fee for his services.